Apple has expanded its iPad Pro line with a new 9.7-inch iPad Pro. And while it sports a name similar to its bigger 12.9-inch sibling, the 9.7-inch iPad Pro has a few significant differences that will influence your buying decision. To help you decide, we have the answers to your questions about the two iPad Pros—and we also address the difference between the new iPad Pro and the iPad Air 2, which are the same size. The 9.7-inch iPad Pro will be available to order on Thursday, March 24 on Apple.com in Australia, Canada, China (Wi-Fi models only), France, Germany, Hong Kong, Japan, New Zealand, Puerto Rico, Singapore, the U.K., U.S. Virgin Islands and the United States. Apple says the device will start shipping one week later, on Thursday, March 31. The company also says that the 9.7-inch iPad Pro will be available on March 31 in the brick-and-mortar Apple Store, and through select carriers and Apple Authorized Resellers in the before-mentioned countries. Apple says that the 9.7-inch iPad Pro will start shipping to other countries in early April. Apple still does not offer a 64GB version. Gold, silver, space gray, and rose gold. Yes, you read that correctly, there is a rose gold version. The 12.9-inch iPad Pro is not available (yet) in rose gold. 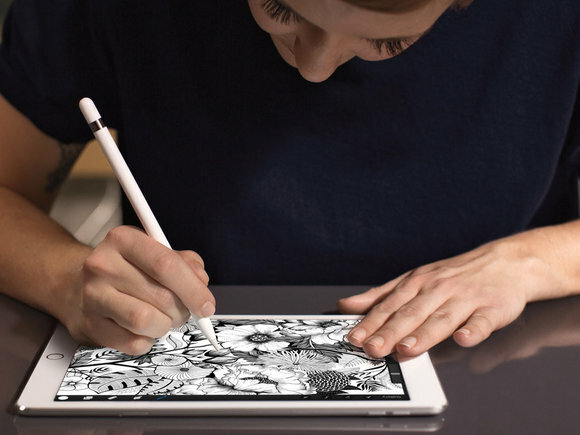 Wait, what is the new iPad Pro called again? 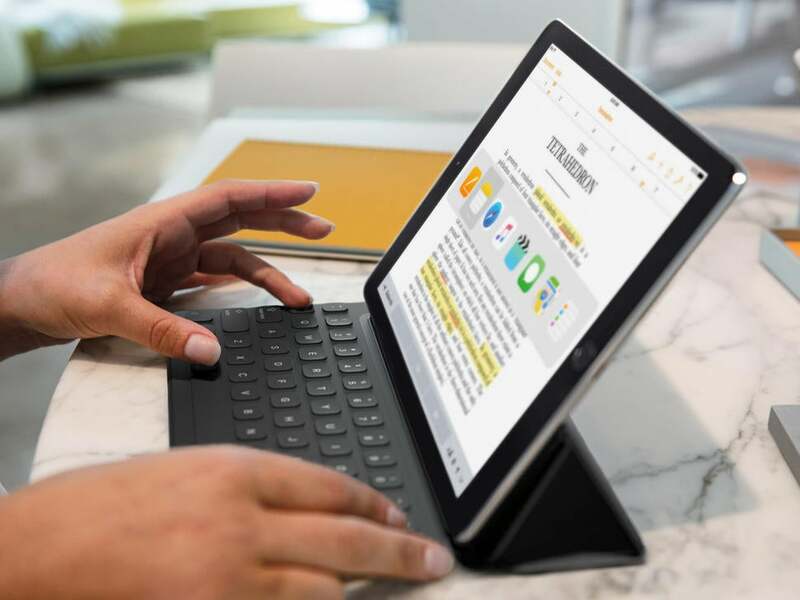 Prior to its unveiling on March 21, the rumor mill resorted to calling the device the “iPad Pro mini” or “Mini iPad Pro.” But during its presentation, Apple representatives called the new device the iPad Pro. Apple’s press release and iPad Pro product website refers to the new device as the “9.7-inch iPad Pro,” so we’ll go with that. What kind of processor is in the 9.7-inch iPad Pro? The 9.7-inch iPad Pro has the same processor as the 12.9-inch iPad Pro: A 64-bit A9X processor with an M9 motion coprocessor. What about the screen? The 9.7-inch iPad Pro is obviously smaller, but does it have all the same features as the 12.9-inch iPad Pro? The 9.7-inch iPad Pro actually has a screen that does a bit more than the 12.9-inch iPad Pro’s screen. It has a wider color gamut with the same DCI(P3) color gamut support that’s found in the Retina 5K iMac. The 9.7-inch display also supports True Tone, which means it dynamically adjusts the screen’s white balance based on the lighting in the room. This provides accurate colors on a paper-white screen. True Tone isn’t supported in the current 12.9-inch iPad Pro. Here’s how True Tone works on the 9.7-inch iPad Pro. For comparison’s sake, the 9.7-inch iPad Pro has a resolution of 2048x1536. The 12.9-inch iPad Pro has a resolution of 2732x2048. Both have fully-laminated displays with fingerprint-resistant oleophobic coating and antireflective coating. But does the screen work with the Apple Pencil? Yes. And as with the 12.9-inch iPad Pro, you can charge the Apple Pencil by plugging it into the 9.7-inch iPad Pro’s Lightning port. Can I connect a keyboard to the 9.7-inch iPad Pro? The 9.7-inch iPad Pro has a Smart Connector. Apple does have a Smart Keyboard available for $149. You can also expect a wave of third-party accessories to be available shortly, or you could pair your iPad Pro with a Bluetooth keyboard. Are the cameras in each iPad Pro the same? The 9.7-inch iPad Pro’s camera has support for features not found in the 12.9-inch iPad Pro, such as Live Photos, autofocus with Focus Pixels, True Tone flash, auto HDR, and a sapphire crystal lens cover. As for video, the 9.7-inch iPad Pro can capture 4K video at 30 fps (frames per second); the 12.9-inch iPad Pro’s highest video resolution is 1080p at 30 fps. The 9.7-inch iPad Pro can shoot at 1080p as well, but it has the option to shoot at 60 or 30 fps. 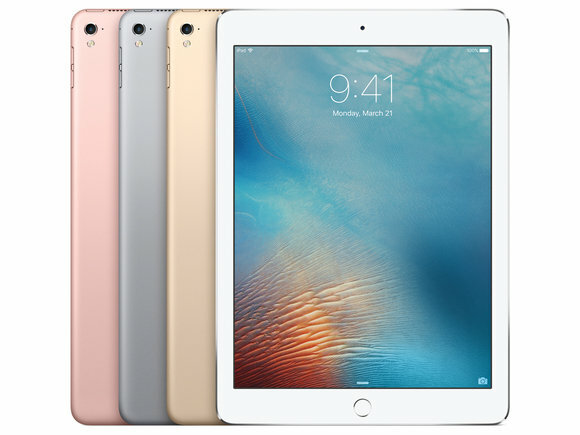 The 9.7-inch iPad Pro has slow-motion video support at 1080p at 120 fps and at 720p at 240 fps. The 12.9-inch iPad Pro’s slow-motion support is at 720p at 120 fps only. The FaceTime camera on the 9.7-inch iPad Pro gets and upgrade, too. It’s a 5-megapixel camera with Retina flash; the 12.9-inch iPad Pro’s FaceTime camera is 1.2 megapixels without Retina flash. How do the actual dimensions and weight of the two iPad Pros compare? The 9.7-inch iPad Pro has a built-in 27.5-watt-hour rechargeable battery. The 12.9-inch iPad Pro has a built-in 38.5-watt-hour rechargeable battery. But when it comes to stating the battery life, Apple uses the same numbers for both model: 10 hours of Web access, video watching, or music listening; and 9 hours for the cellular models. What else is the same/different between the 9.7-inch iPad Pro and the 12.9-inch iPad Pro? If it wasn’t specially called out here, then it’s the same between the two models, such as the Wi-Fi channels, sensors, speakers, and Touch ID. Did Apple do anything to the iPad Air line during the March 21 event? Apple did three things. First, the original iPad Air has been discontinued, so the only model in the line is the iPad Air 2. Second, the price of the iPad Air 2 has been reduced by $100. Third, there’s no longer a 128GB iPad Air 2; you choose between 16GB ($399) and 64GB ($499). If you really want an original iPad Air, you may be able to find one in Apple’s Refurbished and Clearance store or on Amazon. How much faster is the 9.7-inch iPad Pro than the iPad Air 2? Apple says the A9X processor in the iPad Pro is 1.8 times faster than the A8X processor in the iPad Air 2. In our benchmarks of the 12.9-inch iPad Pro, the iPad Pro showed significant gains over the iPad Air 2. Expect to see similar results with the 9.7-inch iPad Pro. 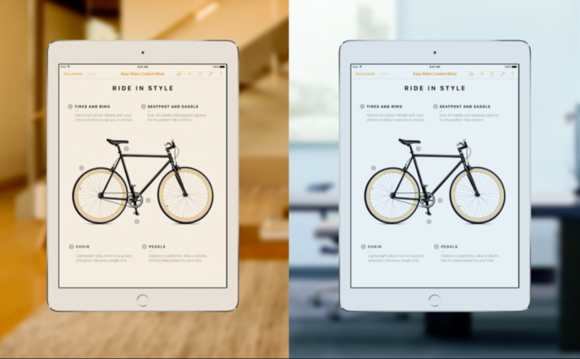 Do the 9.7-inch iPad Pro and the iPad Air 2 have the same screen? They have the same Retina resolution (2048x1536), but the iPad Air 2 doesn’t have the wide color gamut and True Tone. It also doesn’t support Apple Pencil. Do the 9.7-inch iPad Pro and the iPad Air 2 have the same cameras? The iPad Air 2’s iSight camera is essentially the same as the 12.9-inch iPad Pro: 8 megapixels stills, and 1080p video at 30 fps. The FaceTime camera, like the 12.9-inch iPad Pro, is a 1.2-megapxel photo camera with the ability to capture 720p video. So the 9.7-inch iPad Pro has a better set of cameras. The 9.7-inch iPad Pro has a built-in 27.5-watt-hour rechargeable battery. The iPad Air 2 has a built-in 27.3-watt-hour rechargeable battery. Apple says that the iPad Air 2 lasts ten hours, an hour longer than the 9.7-inch iPad Pro. However, the rated battery life for the cellular models is the same at 9 hours. 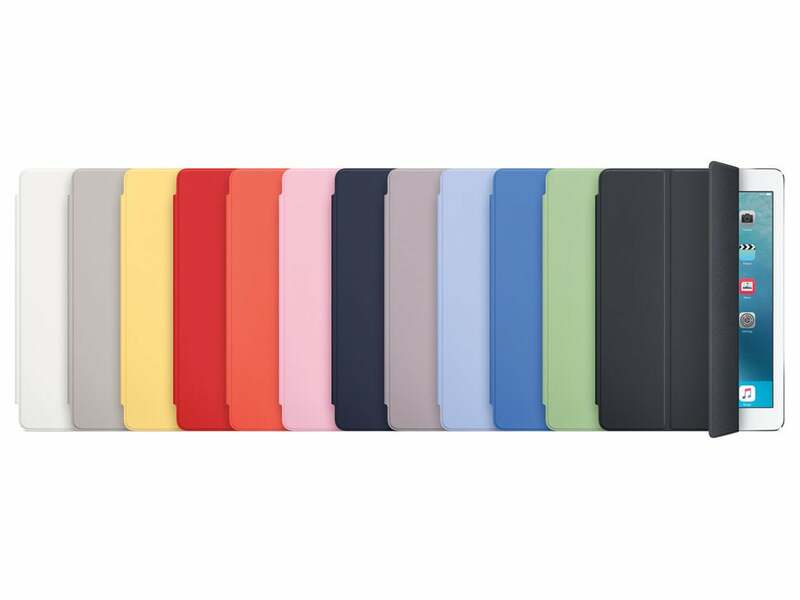 Will my iPad Air 2 case fit on the 9.7-inch iPad Pro? The 9.7-inch iPad Pro and the iPad Air 2 have the same dimensions: 9.4 x 6.6 x 0.24 inches. So iPad Air 2 cases should fit on the 9.7-inch iPad Pro. How functional the 9.7-inch iPad Pro is in the case, however, is another issue. The 9.7-inch iPad Pro has four speakers while the iPad Air 2 has two, so an iPad Air 2 case could possibly block the speakers at the top (vertically) of the 9.7-inch iPad Pro. Another thing that’s probably less of a concern is the Smart Connector; a case could block it, preventing you from using an encased iPad Pro with a keyboard. Most keyboards that use the Smart Connector also serve as a case, so this probably isn’t an issue. The Smart Cover is a different story. 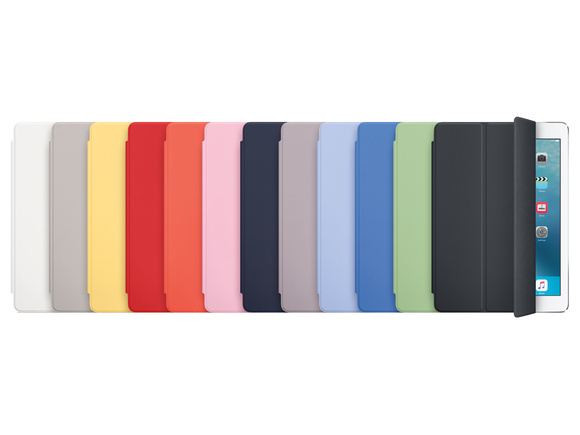 Apple confirmed that the magnet alignment is different with the Smart Connector on the 9.7-inch iPad Pro, so using the iPad Air Smart Cover (that also works with the iPad Air 2) on a 9.7-inch iPad Pro is not recommended. The 9.7-inch iPad Pro Smart Cover is $49.